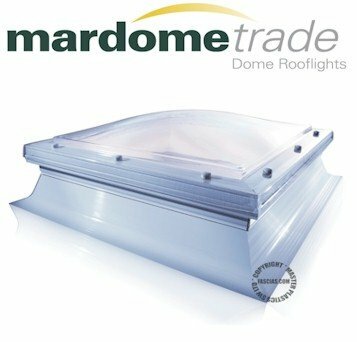 Roof Domes MardomeTrade is the standard specification dome in the range and comes complete with a host of features and benefits as standard to satisfy a range of projects and budgets. Mardome Reflex is a glazing only unit. The wide-flanged polycarbonate glazing unit has been designed for refurbishment projects where the glazing only needs to be replaced. stronger than glass. 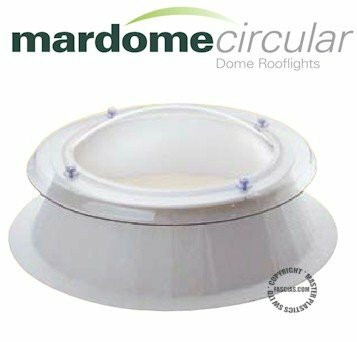 The high resistance to breakage and adverse weather conditions means Mardome Reflex is a very safe and reliable dome roof light option. Mardome Circular is available in standard sizes from 600mm up to 1800mm with a dome-shaped glazing unit. The daylight opening for the Mardome Circular is equivalent to the diameter of the roof opening size -150mm. For glazing only option please refer to Mardome Reflex on page 12. Details of Mardome Circular units in bespoke sizes are available on request. Mardome Ultra is the architecturally inspired Mardome in the newly redesigned next-generation Mardomes. Mardome Ultra offers maximum security and stylish design with a sleek aluminium security frame concealing tamper-proof secret lock fixings. Providing excellent insulation, triple skin Mardome Ultra roof lights achieve a centre pane U-value# of 1.8 W/m²K and an Ud-value* which ranges from 1.25 W/m²K for a 600x600mm dome to 1.51 W/m²K for a 1200x2400 dome. Higher performance glazing options can further reduce the Ud-value to as low as 0.95 W/m²K. 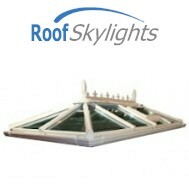 Glass Sky Lights are more popular than ever. The high tech glass helps the Sky Light to reduce both heat loss and noise. A Sky Light or Roof Lantern is the perfect choice for letting in natural light into your home. Master Plastics Roof Lights and Roof Lanterns can be incorporated into a new build or an existing extension of a house, or anywhere you have a flat roof. Glass roof lanterns are more popular than ever. 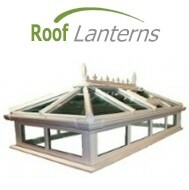 The high tech glass helps the roof lantern to reduce both heat loss and noise. A roof lantern or roof light is the perfect choice for letting in natural light into your home. Master Plastics roof lights and roof lanterns can be incorporated into a new build or an existing extension of a house, or anywhere you have a flat roof. They give the ultimate feeling of space & light and will completely transform your living areas. 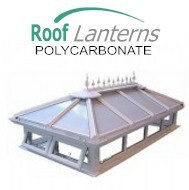 Polycarbonate Roof Lanterns are more popular than ever. 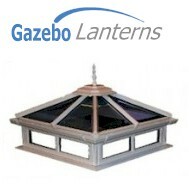 A Roof Lantern or Sky Light is the perfect choice for letting in natural light into your home. Master Plastics Sky Lights and Roof Lanterns can be incorporated into a new build or an existing extension of a house, or anywhere you have a flat roof. Available in a Choice of White, Rosewood or Light Oak frames and supplied with 25mm polycarbonate in Clear, Opal or Bronze for the roof. Low e glass is supplied for the sides. Made to Measure - Allow 14 days for delivery. Low e toughened glass is supplied as standard. 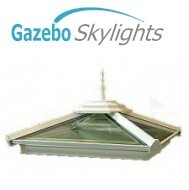 All the gazebo skylights are supplied with low e glass either clear standard glass or active blue glass. Each skylight is made to measure.